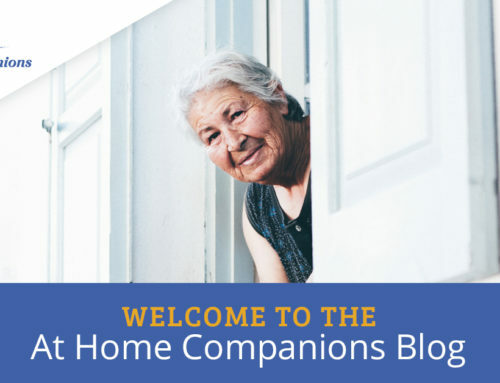 Hi there, and welcome back to the At Home Companions blog. In our first blog post, we began discussing some of the many wonderful benefits that home health care services can offer you and your loved ones. If you’re like most people, you value your independence and would like to live in the comfort of your Hackensack home for as long as possible. Yet as we age, there are some activities and tasks that simply become too difficult for some seniors to undertake. Some people assume that once we reach a certain age, we must consider moving into a senior care facility or assisted living, which is a great option for many. However, in-home care is a wonderful option that should really be considered when you or your loved one are weighing their options for senior living. In-home health care services is a broad term that includes a variety of services, such as non-medical care, and care for veterans and their surviving spouses. In today’s blog post, we would like to continue looking at the advantages of in-home health care services so that you or your loved one can continue living at home. Please read below to learn more. You may be wondering what we mean by activities of daily living. ADLs are are the everyday activities such as bathing, dressing, grocery shopping, daily exercises, and so on. As we age, our bodies go through many, many changes which can affect our mobility, range of motion, joint, bones, nerve, and muscle function. These changes can make it difficult for some seniors to reach high spaces, bend over, crouch down, and so on. While these musculoskeletal issues can really impact movement, strength, and speed, these issues don’t necessarily impact the mind. Many seniors who are perfectly capable of living independently and who are of sound mind often move into assisted living because they need physical assistance to perform daily tasks and activities. Caregivers who come to the home are able to assist with these tasks, while also allowing seniors to live at home. Good nutrition and maintaining a healthy diet are very important throughout our lives and as we age. A caregiver can help seniors plan and prepare meals that provide the delicious nutrients the body needs for maintaining and improving a healthy body and a sharp mind. Many seniors have specific dietary needs as a result of medical conditions that may be altered by different foods. A caregiver can assist a home-care patient with nutrition planning so that meals are tailored to support a patient’s individual health needs and taste preferences. Meal preparation can sometimes become challenging as we age, but with a little help from one of our caregivers, cooking can remain a fun and enjoyable pastime. As we age, medications become commonplace in people’s daily routines. Whether this means keeping up with specific daily vitamins and minerals to improve health and body function, or staying on top of taking prescription drugs in a timely manner, keeping up with medications can be quite a task. An at-home care specialist can help a patient manage their medications by setting them out for the patient, devising a schedule to help keep the patient on track, or helping a patient reorder and pick up prescriptions from their local Hackensack pharmacist. Maintaining medications is an important aspect of senior living, which is why a knowledgeable caregiver can be a wonderful help in managing medications. Sometimes, having someone to talk to can make a huge difference in your day. One of the best advantages of home health care services is that a caregiver becomes so much more than a visiting nurse; he or she can become a close friend who provides companionship. Caregivers are special people who engage in conversation with their patients on a regular basis. While these caring individuals provide a safe environment for seniors as a means to help them manage their health and wellness, the patient’s emotional and mental wellness is important to nurses, too. Our highly-trained nurses have incredible communication skills, and provide a safe space for patients to talk to them about everyday things, or to get things off of their chests which may help improve their mood and emotional or mental state. As human beings, we love human companionship and, on top of their medical assistance, our caring nurses can also provide our senior patients just that: companionship. There are so many advantages that seniors may gain from home health care services, and these are just a few of them. If you think you or a loved one may gain from these and other benefits of home health care, contact At Home Companions today to learn more about our services. Thank you for taking the time to read our blog. Be sure to join us again next time to learn more about our home health care services and so much more. I like that you suggested having home healthcare to make a schedule for someone’s medications. My father is starting to get older and I was wondering if it was time to have someone help him live. I can see how it would be a good idea because he is starting to mix up his medications. Thanks so much for your response to the Blog. I would be more than happy to discuss any questions or concerns you might have. Feel free to give me a call at 201-525-0607. I like how you mention that an in-home specialist would be able to help the patient pick up prescriptions, keep a schedule, and set them out. My grandpa is fiercely independent he has never asked anyone for help, and he still does not want to. At the same time, he has forgotten about his medication a few too many times. We’ll have to find him an in-home care specialist who can help him despite his independence. We have had the opportunity to assist many clients with similar concerns. A good way to introduce services is to start with one day a week even if you think they could use more help. I would be more than happy to speak directly to you about our experiences. Feel free to give me a call at your convenience, 201-525-0607. I totally love that you talked about how hiring a caregiver can become a close friend of the patient and provide companionship. My grandmother is known for being so friendly. She loves to go out and meet different people when she was young. Now that she has restricted mobility, she’s unable to do her routine of going out and strolling outside. For me, hiring a home caregiver can make a difference on how my grandmother looks at life these days because of how lonely she has been for the past few days. It’s good to know that we can hire someone who can take care of her and be a friend at the same time. I will make sure to consider all your tips. I totally agree with you and home health care services are certainly beneficial for people. It allows them to get the help they need with meal prep, laundry, grocery shopping, on-time medications, transportation, and much more without leaving the comfort of home. Seniors often don’t agree with the idea of moving to a living facility, so this option is perfect for those who want to age with their cherished memories and family. My Grandpa passed away last year and because of it, my Grandma’s health has slowly been declining. She is turning 91 soon and although she is healthy for a 91 year old, we are still considering our senior care options. It’s nice know that there are in-home health care options that will do more than just take care of her medical needs. I think a main thing that seniors are needing is friendship, especially those who have lost their spouse. We may still end up placing her in a senior care facility just so she can socialize more, but it’s nice to know there are other options out there.